Snaking around hairpin turns in Osoyoos before venturing into the mountains on the Crowsnest Highway through Castlegar, Creston and Fernie, British Columbia. The time had come for us to veer away from the gorgeous Pacific coast that we had spent the last two months conquering and head into the interior, bidding farewell to the ocean for a while until we reach the Atlantic. From Princeton, we started on the Crowsnest Highway, which we’d be taking the whole way through to Alberta. Most people opt for the other route through Golden, BC to Banff, AB but that’s precisely why we didn’t – it gets crazy packed with tourists all summer and luckily, we’ve both done it before. 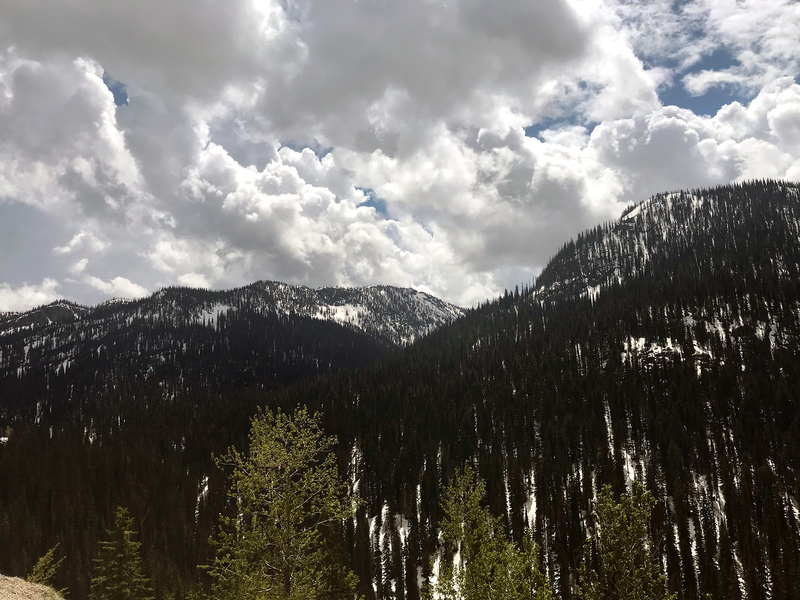 The Crowsnest Highway is also incredibly beautiful and far less busy, which is great for us since Clemmie doesn’t exactly love going up hills. 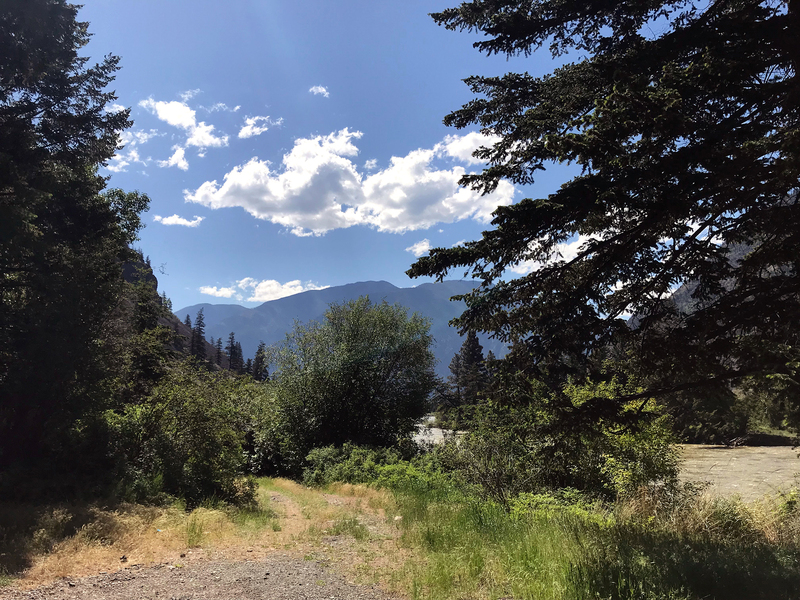 Anyway, we settled into another camping spot along the Similkameen River not far from Hedley and took cover as massive swarms of baby mosquitoes tried to gobble us up. I didn’t mind having to stay inside because after spending a week in the city, I got sick. Interestingly enough, neither of us have been sick at all since we’ve hit the road (even in the winter) and have been spending so much time outside but after a week of close quarters with lots of humans, it got me good. It’s hard to find bad views in the mountains. This was our spot on the Similkameen River, between Hedley and Keremeos. We carried on into picturesque wine country where it was 30°C/86°F and everything was in full bloom. If you’ve never been to Osoyoos before, do yourself a favour and go. 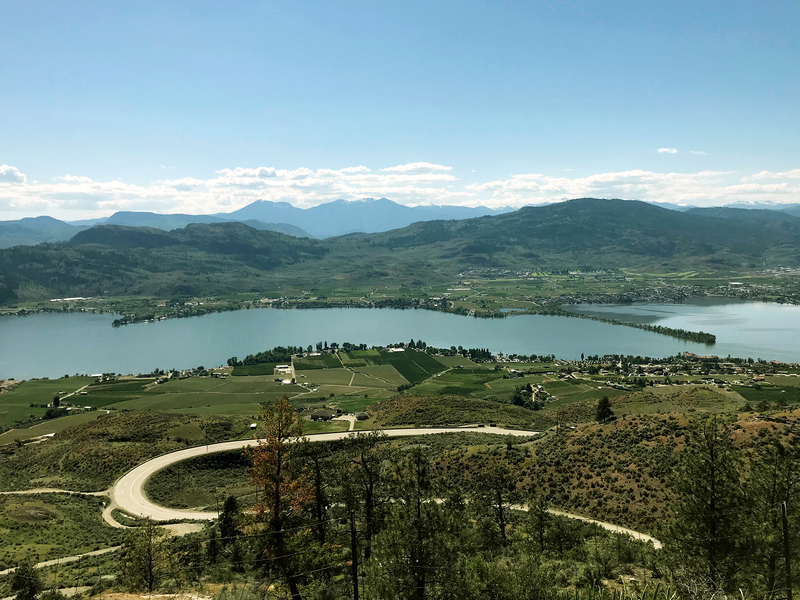 It’s a magical valley within the Okanagan area that seems like it could be the setting of a Disney movie with lush greenery amongst a background of snow-capped mountains. There’s a killer lookout point as you leave town that gives a view of the whole valley and the switchbacks you just drove up to get there. This led us toward Anarchist Mountain (great name), where we camped a night at yet another one of BC’s awesome recreation areas called Jolly Creek. 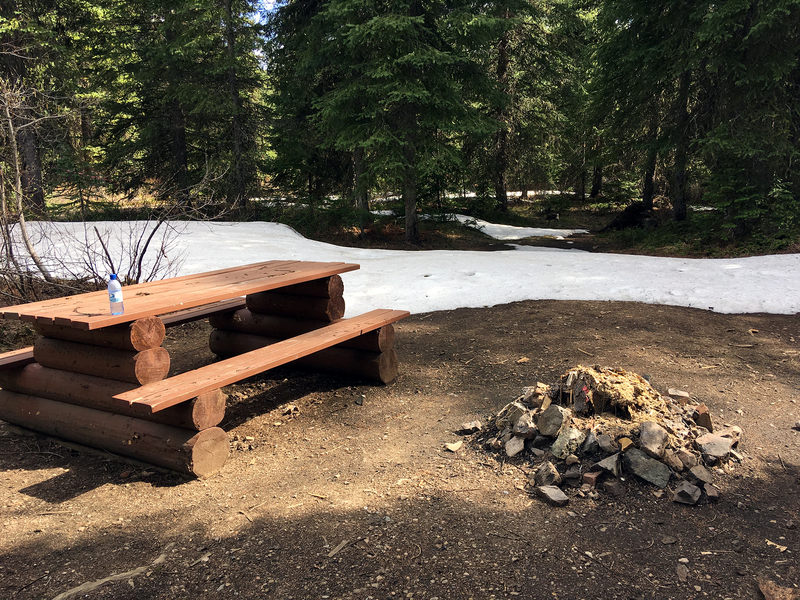 We had our share of struggles in the winter when it was so cold that we’d wake up with frost on our phone screens and our dish soap would be frozen but now that summer was coming into full swing, a whole new set of challenges were arising. We’ve got a small fan but with no airflow, it kinda just pushes the warm air around. The only cure for that is to sit outside in the heat and remember the times we nearly froze when running out of propane in the middle of the night in -30° and stop complaining. Could Osoyoos get any prettier? 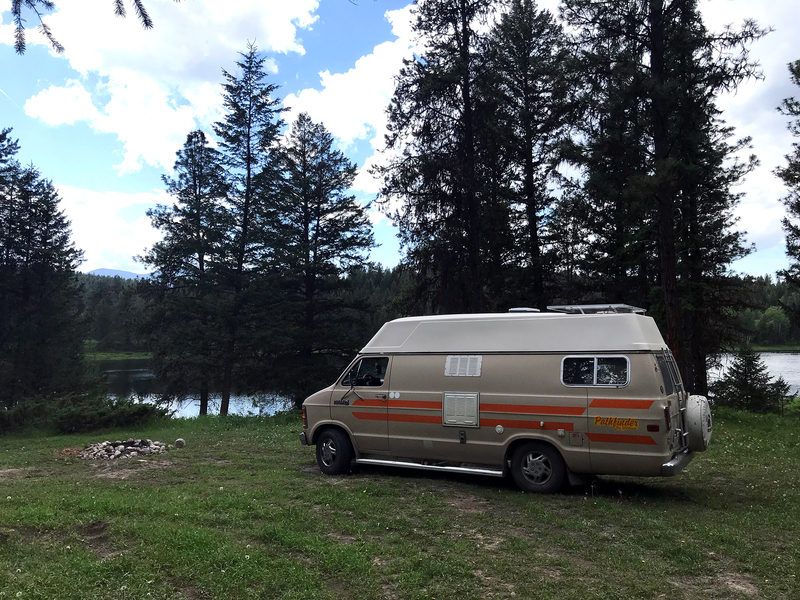 The van didn’t want to start up the next morning which further solidified our inkling that the ignition timing was out of sync and the drive through the mountains would be a slow crawl until we could fix it in Calgary. With most of our day spent fiddling with spark plugs, we made a brief stop in Grand Forks before hunkering down for the night at a spot called Mud Lake. Because of the elevation, there was still snow on the ground even though it was over 30°C/86°F and sunny; for the first time ever, we had a snowball fight in shorts and sandals and it was something out of every Canadian child’s dreams. The next morning had me waking up dead sick but luckily we were on our way to Creston where we’d be visiting some family for some much-needed TLC and home cookin’. We stopped in Castlegar to trade in my oregano oil for extra strength Buckley’s before making the trek through the Kootenays via Salmo Pass. This was really hard on Clementine because it was the longest and probably the tallest mountain we’d climbed so far. 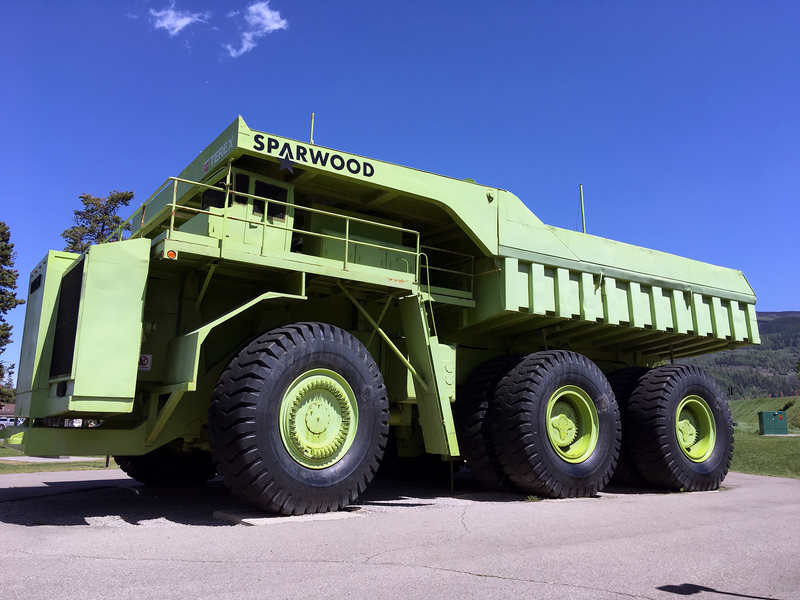 Alongside the logging trucks, we slowly creeped up to the snowy summit where we had to stop for roadwork. Turns out there was a massive mud slide just a week prior where a couple from Saskatchewan got pushed off the cliff and had to find their way out of the mud and get airlifted out…YIKES. Anyway, we eventually made it to Creston (mud-free) where we spent a few days relaxing and chowing down on lots of fresh, local asparagus (asparagus tourism, anyone?). With some rest and lots of cold medicine, I was feeling alive again and ready to keep truckin’. We made a stop in Cranbrook to get some groceries and got caught in a vicious mountain thunderstorm that actually made the power go out at Walmart. You know it’s intense when even Walmart is down. Once it passed and order was restored in the universe, we made our way toward Fernie for our last couple nights in British Columbia. By this time, we’d been on the road for six months and had barely seen any wildlife aside from the usual suspects of deer and possums. Not far out of Cranbrook near Joffre, we had our first bear sighting. Unfortunately, it was dead on the side of the road with its tongue hanging out and was not at all pleasant to look at…neither was the smashed up car that hit it. We passed the scene of the crime and spent the night at Wapiti Lake where we camped lakeside to the soundtrack of elk mating calls. 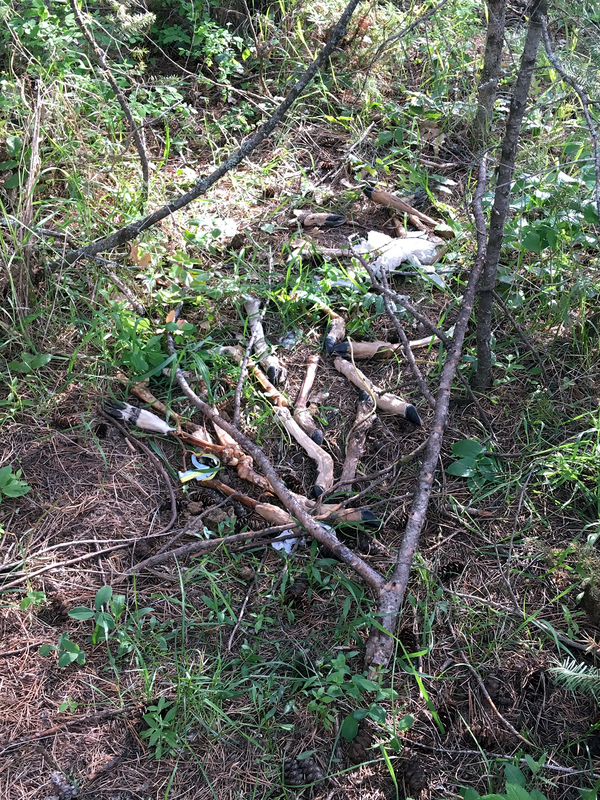 When we were exploring the forest a bit, we found a bag of deer legs dumped on the ground. This was pretty weird and creepy so we retreated back to the van and tried not to let our minds wander. Fernie is a wicked little mountain town not far from the Alberta border. 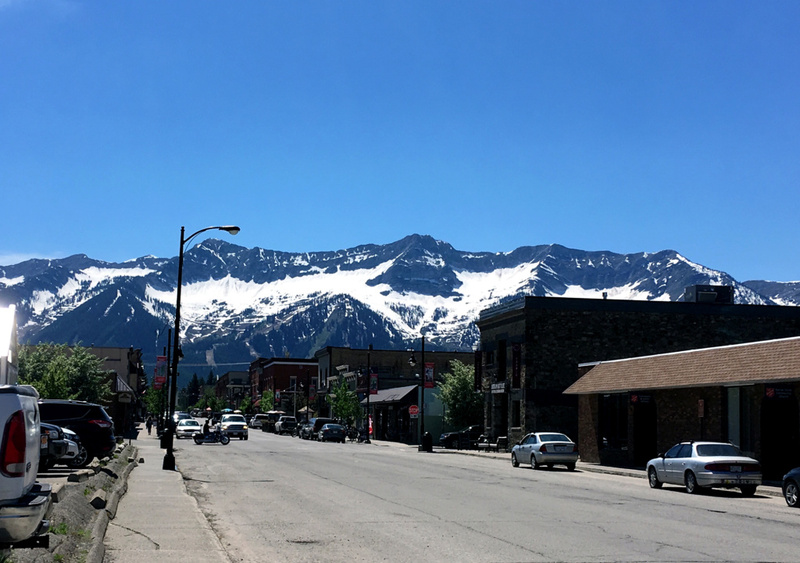 It’s a hotspot in the winter for skiing and snowboarding but is equally beautiful in the summer where sidewalk patios give way to a view of the snowy Lizard Range Mountains. The Three Sisters are a heavily photographed mountain chain that you can see clearly, right from downtown. After putting in some work hours at a café, we grabbed some Fernie brews and headed up Mount Hosmer where we’d spend our last night in BC. Hartley Lake is a small emerald green lake nestled among the mountain tops that made for an awesome camping spot. You really can’t beat mountain-fed lakes and the peacefulness that surrounds them. We spotted two beavers swimming around but when we walked around to get a closer look, the one we gathered was the male protecting the pregnant female started jumping out of the water to make some major splashes to scare us off. Ok beaver, it worked. We’ll keep to our side and you can keep to yours. After a quiet night’s rest, we gathered our things to make our way toward Calgary, where we started our journey six months ago. Of course, Clementine didn’t want to go home and decided yet again, she didn’t want to start. She eventually got going after the usual fiddling so we were anxious to get to Calgary to catch up on the overdue repairs and tuning. 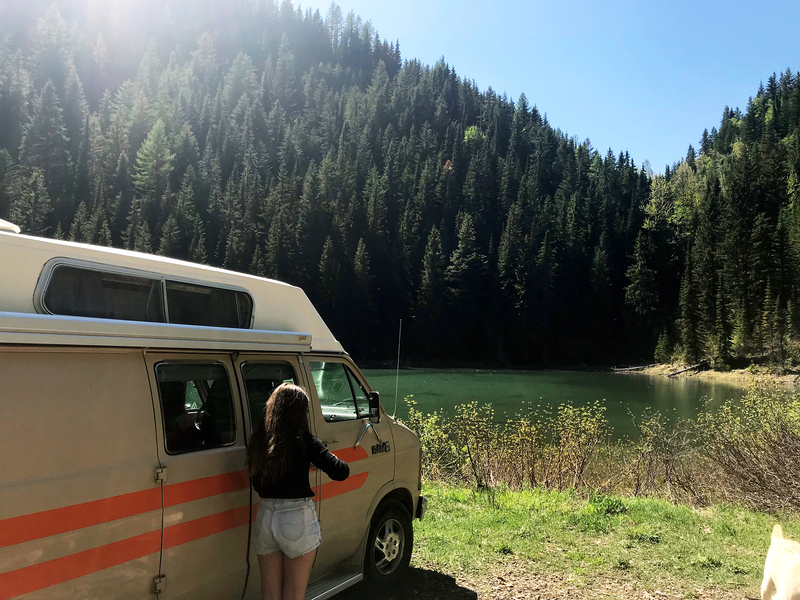 Returning to Alberta was coming full circle from where we bought and renovated the van and it felt great to know we’ve made it such a long way. We’re stoked to keep heading east through Canada and check out tons of cool spots along the way. Keep checking our camping directory as we add new spots all the time!